Description: Being different from others is having an identity, own mindset, unique fashion sense, and being irreplaceable to oneself. As I started my day quite early on Thursday, July 13th I woke up to clean and tidy the house. My daughter and I then ate and then headed down to the shop to do some groceries shopping. After buying everything we needed, I decided to take her to the playground. As we got to our destination I began to write the ABC on the ground with chalk in alphabetical order. After that, we ran around a little, and played hide and go seek. (I always participate in play activities with my daughter to encourage her) After some minutes had passed my daughter then started playing with her other toys, and I was kicking the football back and forth. My daughter was so concentrated on what she was doing that she wasn't paying any attention to me, so I just kept on doing my own thing. She wasn't in any danger of playing on her own since we weren't alone, and We both seemed to be enjoying ourselves. I was a little exhausted from using half of my energy, so I took a break from kicking the football and went and sat down on the Merry go round. 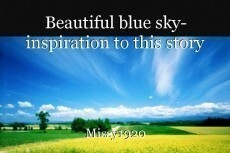 As I sat down I stared into the sky and started to admire God's creations- the blue and white beautiful sky. My mind then started to wander far away from my surroundings. I thought about animals, plants, mankind and how handicapped and people with unthinkable and untreatable disabilities are angels in disguise to teach us how to love and accept one another. Those of us that were born with independence, both functional eyes to see the beauty of the world and from our own perspective point of view, functional hands and fingers to touch and hold onto our loved ones, both feet to walk around without having to rely on anyone, and yet knowing that there are others who look upon someone else for help before they can wake up from bed to grab their first meal. Yes, we are all born with our own uniqueness, but our true beauty lies within and it cannot be replaced with millions and billions. It can only be filled with pure unconditional love. and better than reality itself. Thank you for commenting, Aleeha. That's quite subtle but I love the way you described the definition of uniqueness. There is no doubt in it that every being is unique, in fact every creature on this planet is unique and we must appreciate this beauty of the Creator. It's so amazing, and the way you described the things and the surroundings is just incredible. Thank you so much for commenting, I really appreciate it. Thank You for Commenting! Much love?